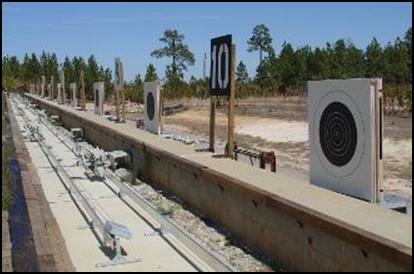 SIUS Target System USA, Inc.
Sniper/Special Use LOMAH Range with Moving, Stationary LOMAH Infantry Pop-Up Targets and S310 Lifter/Changer Target Scoring Systems. Consists of 10 Lanes, Plug-in-out Firing points at 100 through 900 meter distances, Central Computer Control Room. 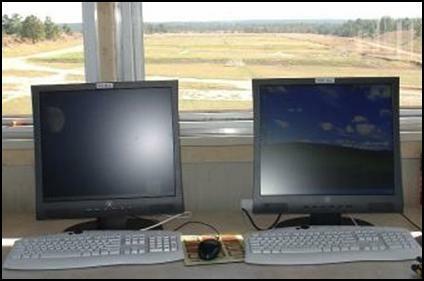 FPE-06 shooter’s monitor used at the firing point.